Most video cameras have some sort of audio capture built-in. You can usually find a hole or a slot on some nub-like protrusion towards the front of the camera, behind which rests a tiny microphone. This microphone captures not only the noises your talent make in front of the camera, but also the noises the camera handler makes, the noises the wind makes, and the thump-thump noises the camera operator’s hand makes against the chassis. None of this makes for particularly good audio capture for your video or film project. Let’s think beyond the camera-mounted microphone. Even otherwise high-quality consumer-level cameras don’t have many features when it comes to audio. Sure, an accessory hot-shoe may support bolting on a higher-quality microphone than what’s already embedded, but that doesn’t solve all your audio problems. An external microphone connection jack is probably only a tiny 3.5mm terminal suitable only for attaching low-power lavaliere microphones. For great audio, you want a guy with a wind-muff-wrapped shotgun microphone bolted to a boom, pointed right at the talent’s mouth. The first questions to answer once you decide to graduate from on-camera audio to a separate microphone are: What kind of microphone do you use? What do you plug the microphone into? The answer to the first question is “a shotgun microphone,” which is recognizable by its long tubular structure and is renowned for its highly directional performance. Because it (mostly) captures only the sounds that you point it at, you can capture high-quality recordings of dialogue without inadvertently recording ambient noise. This means that your microphone needs quickly escalate if you want to also capture environmental/ambient sounds in your scene. A good entry-level shotgun microphone costs between $150 and $300. Higher-end microphones quickly escalate in price. What you plug your microphone into, if it’s not your camera, is also important. Microphones traditionally attach with a 3-pin XLR connector, which provides an electrically balanced signal path that eliminates noise interference over long cables. It’s possible to use an XLR-to-minijack cable to plug your microphone directly into your camera, but it’s not recommended and probably won’t work. Instead, a microphone should plug into a preamplifier, which takes a low signal from a microphone and turns it into a “line level” signal suitable for mixing, recording, or editing. You’ll need a preamp that can provide 48 volts of “phantom power” to the microphone if you’re using a condenser mic (most good shotgun mics are condenser mics). If you don’t plug a microphone into your camera, you’ll plug it into some kind of recorder, ideally a computer (a laptop if you’re doing a field recording). The bridge between a microphone and the computer is the “audio interface” which takes care of converting the analog microphone input to a digital output the computer can manipulate and store. Audio interfaces usually include one or more built-in preamps for microphones and use USB or Firewire (IEEE 1394) to connect to the computer. Audio interfaces range from inexpensive USB units ($100) with two preamps to expensive multi-channel rack-mount units with as many as 8 preamps ($400 and up). You’ll need a preamp for every microphone you use, so a two-channel interface is a good place to start if you use a shotgun microphone together with an ambience mic. The computer needs software to capture the incoming digital audio and mix, manipulate, and save it. Recording software ranges from the free (like Audacity) to the cheap (Garageband, which is not only for garage bands) to the expensive (Apple’s Logic or Adobe’s Soundbooth). Once a microphone is selected and attached to an audio interface, you must decide what recording settings to use. Digital audio is described in terms of sample rate (the number of “samples” taken each second to represent an analog sound wave) and word size (the number of bits used to describe each sample). For reference, standard CD audio has 44,100 samples per second (44.1 khz) and a 16-bit word size. There’s no magic recording setting, but the higher the numbers the better the audio quality. Even the least expensive audio interfaces from M-Audio or Presonus are capable of providing 24-bits of resolution at 48,000 samples per second. The best rule is to capture the audio at a level at or higher than the settings you’ll use in your postproduction workflow. For most DV or better sequences that will be 48 khz. Most NLEs (including Final Cut and Premiere Pro) use 32-bit floating-point for the audio, so capture at 24-bits if you can and 16-bits if you have to. Do not capture to a compressed file type like MP3. 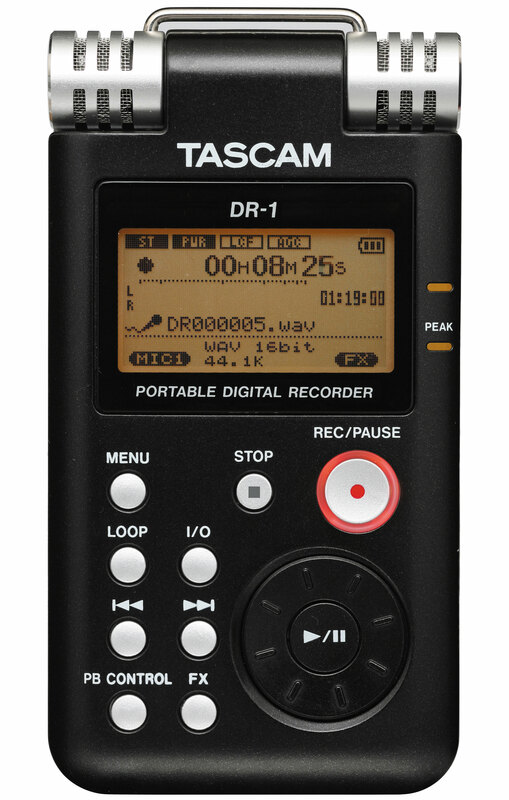 Instead record your audio in uncompressed WAV or AIFF format. The last big question to answer concerning capturing audio separate from your camera’s microphone is how to sync the audio to the video. The easiest way is to start rolling both the camera and the recorder and use a clapper board to create a sync point. This gives you both a visual (the top of the clapper hitting the bottom) and an audible (the sound of the clapper) cue. Make sure the clapper is audible on all the microphones you’re using. Later, in the editing suite, you can use the clapper as a cue point to synchronize the audio to the video. Remember to use the clapper any time you stop rolling either the camera or the recorder. A timecode break in either means a break in sync. If you capture a scene with a separate microphone, you don’t necessarily have to disable your camera’s onboard mic. In fact, it can be useful to keep that audio as a reference track in your project — maybe you missed the clapper board or it was at a weird angle, in which case the reference audio from the camera can be used to sync with the good audio from the recorder. Be sure in this case that the camera and the recorder are using the same sample rate to record (any camera you use ought to support 48khz rates, since it’s a DV standard). Recording separate audio can complicate a shoot. You’ll need at least one more set of hands on your crew; ideally at least two more — one to hold the boom and another to man the mixer/audio interface/recorder, set input levels, and overall ensure a good audio capture. And of course, you need someone to operate the clapper board. You’re the director — it may as well be you!